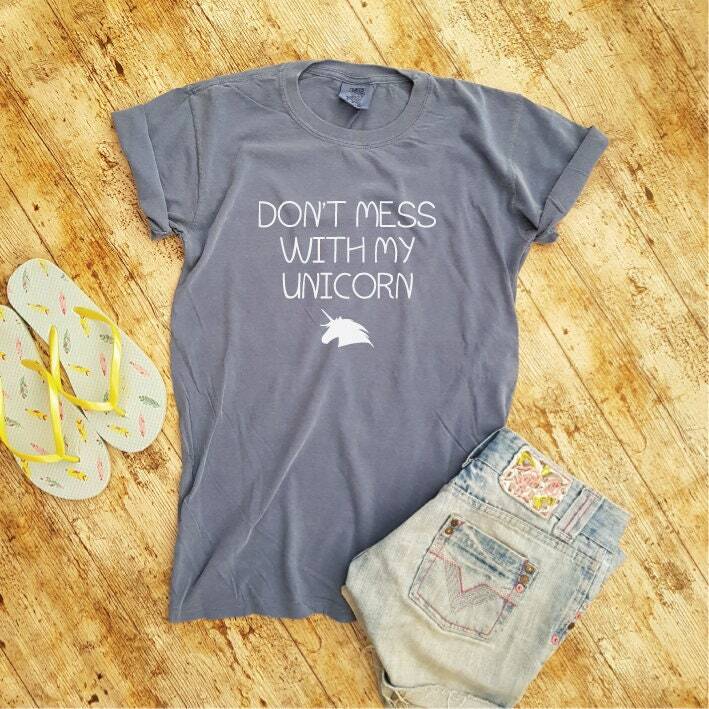 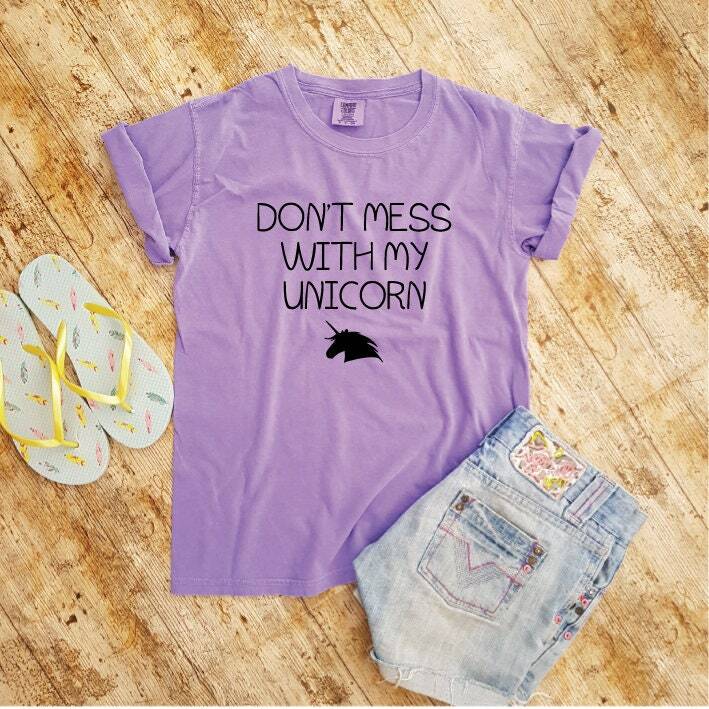 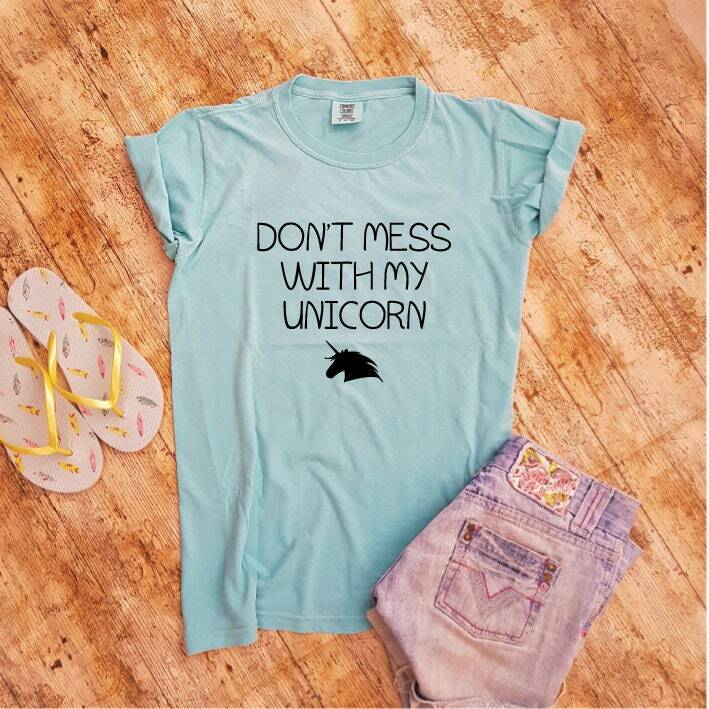 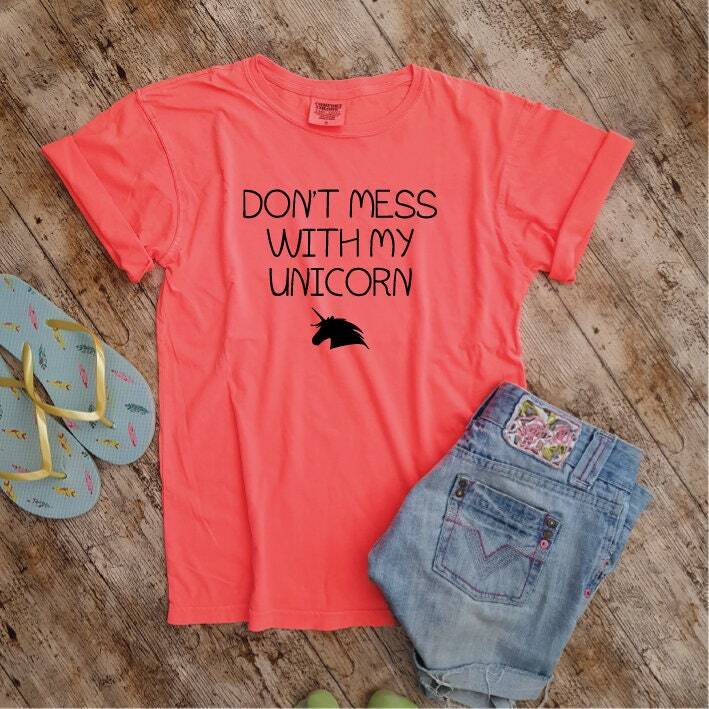 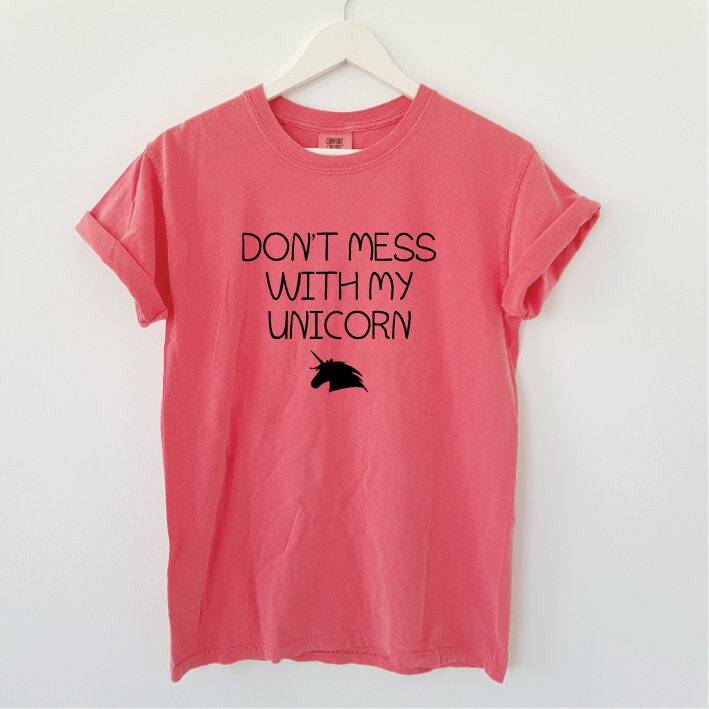 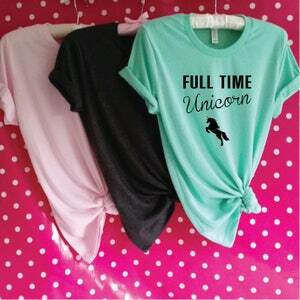 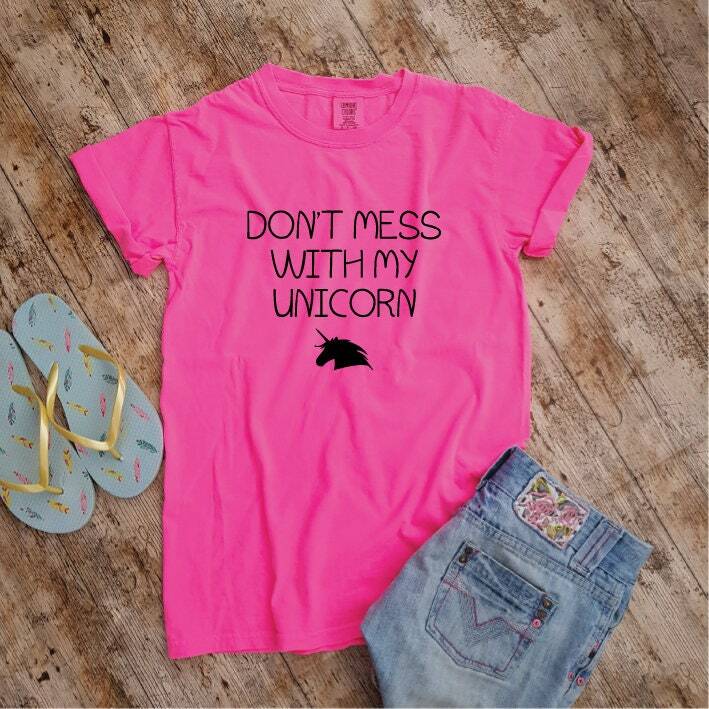 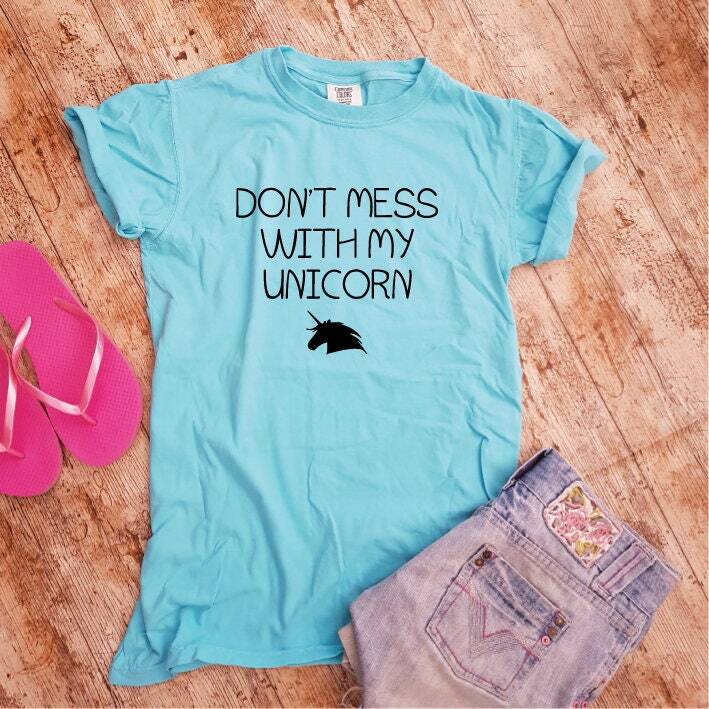 Don't Mess with my Unicorn - This cute Unicorn Shirt is the perfect Shirt Gift for Unicorn Lovers. 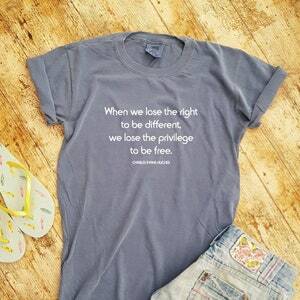 This is a Boyfriend style Tee and therefore ladies may wish to size down if you don't want it too loose. 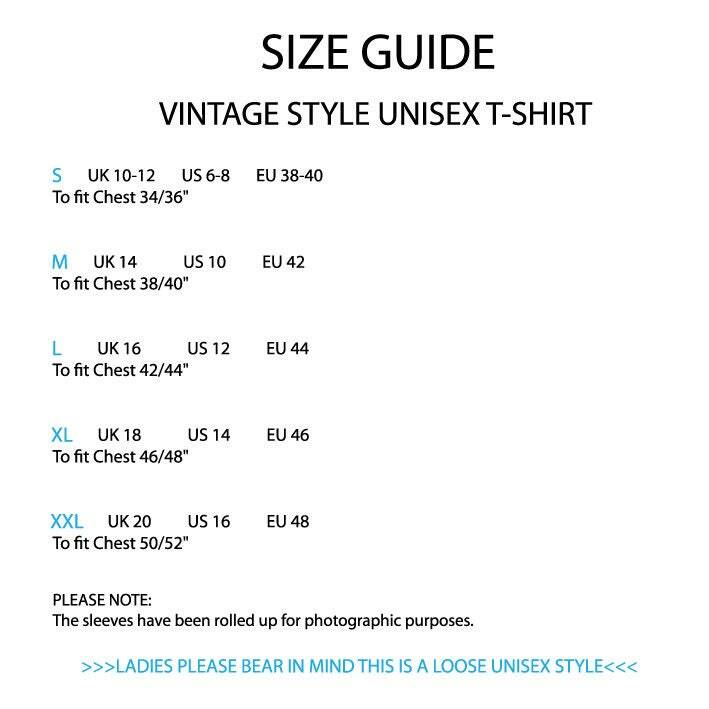 See Size Chart below or in Listings Photos for more info. 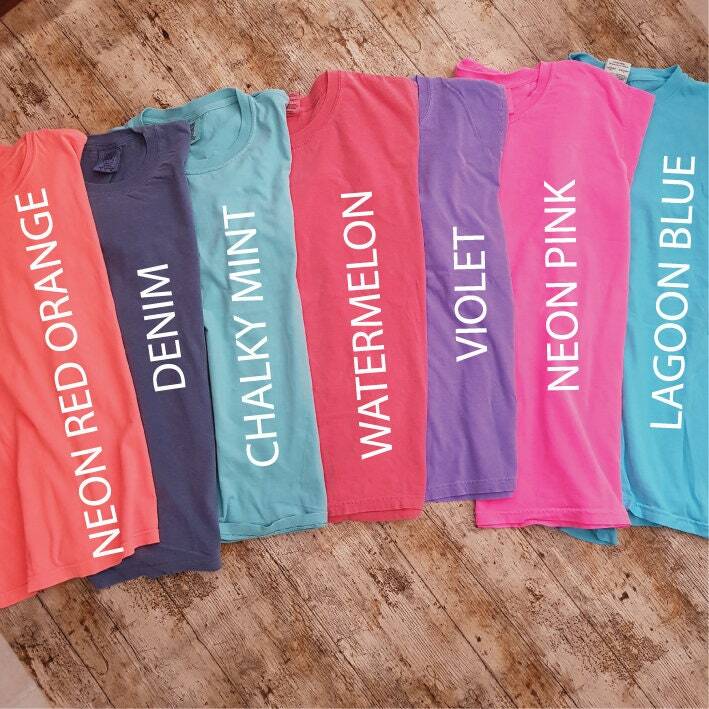 There are lots of colours to choose from - see listing pictures for colour samples - but if you don't see what you are looking for please get in touch. 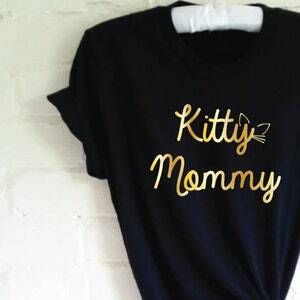 We'd love to help if we can.